If you know of a link to an onsite place that has Warzone for sale please include it here so that everyone in the community can fill their armies. Wargamer in Poland -http://warzone-chronopia.wargamer.pl/?init=1 Great prices and a pretty good selection. W & C and rules. Prince August in Ireland -http://www.princeaugust.ie/ Same as above, good shipping time, they have stuff that they don't advertise, just ask and they might have it. W & C, but they are still adding stuff to the website. Spirit Games in the UK -http://www.spiritgames.co.uk/figs/warzone.php They have some Warzone, I am not sure about Chronopia. Snifdog miniatures in Poland -http://marketon.pl/snifdog/index.php?m=page&s=kzf3sohfkobvxl8bsmyrufrulbcu57ql&l=uk They make resin terrain, bases and vehicles. They have a great version of the Jackal and other good APCs. Old Crow Resins- http://www.oldcrowmodels.co.uk/ocproducts.htm Old Crow makes resin vehicles, again, a bit small for scale, they work for GT Offroads and such. Copplestone Castings-http://www.copplestonecastings.co.uk/ Mark Copplestones company, he did alot of sculpting for Warzone, and his Future Wars line make great Cartel troop types. That is it off of the top of my head, also Bartertown.org and Ebay .com. You all might try feltongames.com. He has Warzone blisters that are pretty cheap (DL, Cresentian, and some others). I have never delt with him before so I don't know how to "rate " their services. 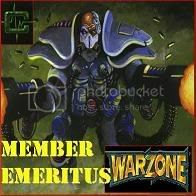 Just to let you know Prince August have updated thier site and added more miniatures for Warzone.Cybertronic,Brotherhood and Tribes of Earth. These are nice also as substitutions, the highlanders are very cool. aye..they fit well for substitutions in most of the corps armies. 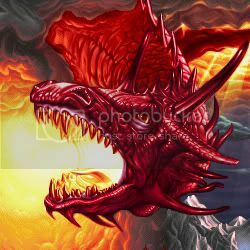 Feltongames is a great site Ordered 4 mini's I needed got them fast no problems. The Polish site is displaying 0.00 euro for all their Warzone figs. I take this as a bad sign. The wells are beginning to run dry. I fear this will happen more and more. The answer is to work together to help each other find armies. A while back there were several large ebay auctions and we all banded together to win the auctions and share the wealth. I find this more appealing than pirating figs but the time may come when we run out of options. I have one last source I want to tap, after that, all I can say is "Arrrr matey".